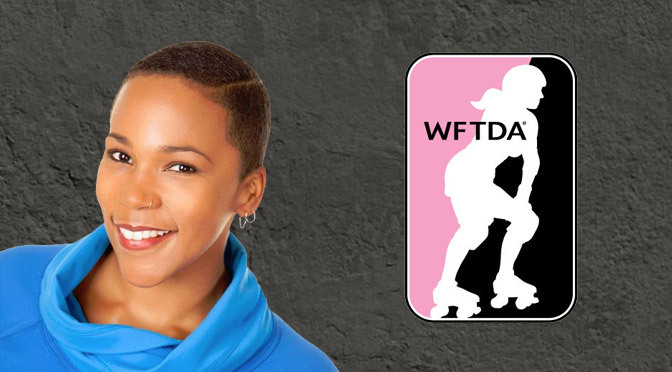 Cassie Haynes has been appointed as the new executive director of the WFTDA by its board of directors. The news comes via an official announcement recently made by the WFTDA. The WFTDA had been without an executive director since the end of last year, when outgoing director Juliana Gonzales announced she would be stepping down. After an “extensive search” through “an extraordinary set of candidates,” the WFTDA thinks it found the right woman for the job. “I’m incredibly lucky to be joining such a fantastic leadership team,” Haynes said. “I look forward to serving [WFTDA] membership as we work together towards the bright and incredibly exciting future of women’s flat track roller derby.” Haynes will not be relocating to the WFTDA home base of Austin, Texas, instead working out of her home in Northern California. Hull isn’t kidding in saying she’s a natural fit. Haynes has management experience with nonprofit organizations and sports leagues, and founded a production company built around showcasing athletic events. She’s also an athlete herself, having at one time held national powerlifting records. Her recent experience in sports management was likely of particular interest to the WFTDA. In 2014, Haynes was the Director of Team Operations for a new CrossFit-based sports league, the National Pro GRID League. Specifically, Haynes drafted NPGL policies and the rules for competition—two things very essential skills to have in roller derby. The NPGL, with the help of Haynes, secured up-front investment and a television deal with NBC Sports for the league’s first two seasons.1Though it does not appear that the NPGL will be on television this year, with the league using PPV streaming in 2016. Additionally, it had to contract the entire season to a single venue over a period of three weeks to lower operating costs. Again, that’s very useful for the WFTDA, which has been streaming select games on ESPN3 and may be thinking about expanding its broadcast reach. Cassie Haynes is not a skater. She was not affiliated an existing WFTDA member league before joining the WFTDA. She did not play competitive roller derby before becoming the executive director of the largest roller derby organization in the world. Even if she ticks almost every box to match up with the community it’s very interesting that the WFTDA would choose to go this route.2It is an open secret that quite a few people in the roller derby community still do not respect volunteer non-skaters (officials, announcers, and even outside fans) in a manner equal with how the volunteers treat the skating community. Yet a professional non-skater is now effectively leading the skaters. Perhaps the prospect of gaining a fresh, outside perspective is what put Haynes over the top in the eyes of the WFTDA Board of Directors.